You can send a SMS to a contact automatically after they've been added to a list. This will work with any lead capture forms too. Open the Contacts Based Automations screen on the dashboard here. 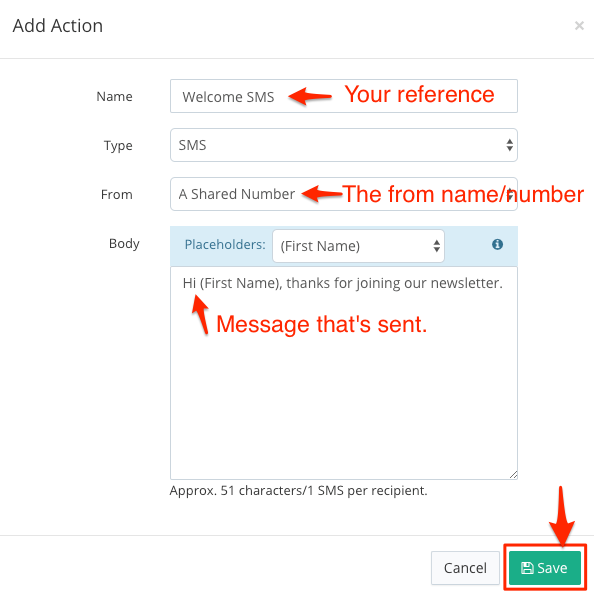 Contact based automations - Send an email after a new contact is added.